Founded in 1982, Paradigm has been around for going on 40 years. Initially, their goal was to use science to build a better, more cost-effective speakers. Co-founders Jerry VanderMarel and Scott Bagby used more scientific methods of testing speakers, rather than just listening to them. Canada, where Paradigm is located, is actually the home of the National Research Center (NRC), whose purpose is to give Canadian companies an advantage by providing them access to cutting-edge testing equipment for research and development. Jerry and Scott took full advantage, leveraging the NRC to test Paradigms first speakers. Not only does the NRC have a massive array of test gear, but they are also the home of an anechoic chamber. This is a room, specifically designed to absorb reflections. In fact, the quietest place on the planet is an Anechoic chamber, located at Orfield Laboratories in Minnesota. For obvious reasons, these rooms are the holy grail when it comes to properly testing speakers. The NRC also has some great setups for blind listening tests which they use along with all of the testing available. Paradigm’s first two speakers, the Model 7 and Model 9 were unveiled at the Toronto Audio Show in 1982. Today, Paradigm is still located in Canada -- only now they have their own research facility and their own 33,000 cubic foot anechoic chamber. The largest in this hemisphere. Paradigms testing facilities now surpass the NRC standards and they have built two “double blind” listening rooms which they use for final listening and testing of all of their products. Paradigm also still partners with the NRC, giving them a very unique position in the speaker market. Paradigms Monitor lineup has been around for quite a while and is considered by many to be one of the best value speakers around. Many speaker brands will “refresh” a successful lineup every 3-4 years, but this time Paradigm went completely back to the drawing board. The result is a new line known as Monitor SE, which consists of just 4 simple models -- 2 towers, a bookshelf, and a center channel. 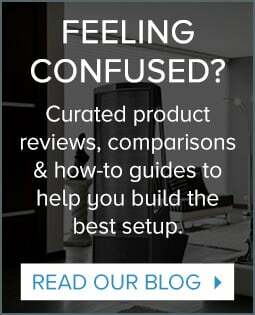 The pricing for these speakers is extremely reasonable with the bookshelves going for $298 a pair, the towers are $698 and $898 a pair respectively, and the center channel rounding things out at $199. First, we’ll discuss some of the commonalities across the line before diving in and discussing each model individually. 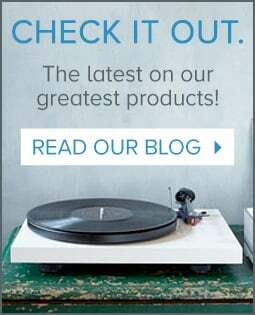 Paradigm leverages the learnings from the research and development of their higher end speakers, and cascade them down to their less expensive models. When Paradigm introduced the Prestige Series, they included a new tweeter technology known as X-PAL. This pure aluminum dome tweeter has a perforated lens that sits over the dome. Through the use of lasers and countless hours of testing, they designed this lens in such a way that it blocks out any out-of-phase frequencies. This gives you a smoother top end with zero added coloration to the sound. The lens also protects the tweeter from those little fingers of curious children that always seem to love pressing in a brand new tweeter! Amazingly, all of the new Monitor SE series use this X-PAL tweeter! 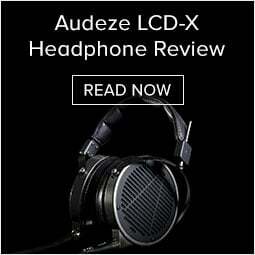 The drivers used for the midrange and lower frequencies are an updated design. They use a mineral-filled polypropylene cone with an inverted dust cap. This design keeps the woofer cone light and rigid. You have a choice of two colors on all four models -- your typical matte black found on lots of speakers, or a pretty stunning gloss white. Best of all, this modern white finish is the same price as the matte black! Perfect for a more modern home. Now let’s take a look at each model. Paradigm’s Atom speaker has for many years been considered one of the best values in bookshelf speakers. The improvements to the new SE Atom take it to another level. The Paradigm Atom SE is a relatively large bookshelf speaker that will be right at home on a tabletop, speaker stand, or a bookcase. If you do use a bookcase, you will want one that is fairly deep as the Atom SE is 11” deep and has a rear-firing port. You’ll want to position it so that the back is a few inches away from the wall or rear surface. It stands almost 13” tall but gives a slim appearance with a width of just slightly over 7”. Using one tweeter and one 5 ¼” midbass/woofer driver, the Atom SE is a perfect example of a classic two-way speaker. It actually gets down very low for its modest size, with it’s 3db down point at 55hz. At 89 dB sensitivity, we consider the Atom SE moderately efficient. We tested it with the Cambridge Topaz AM20 which is a small, but great sounding little integrated amp and it drove them quite well. We did find with the Atom and all of the models in this series, that they need a little bit of break-in time to sound their best. You will also want to play around with placement as the Atom SE has the ability to provide stereo imaging if you take the time to position them so that they are equidistant from your main listening position. It’s also worth trying out varying distances off the rear wall if you are using them on stands, which is our preferred method. You could use the Atom SE with a sub as part of a full-range system or pair them with the bigger Monitors and use them as surrounds. Since they share the same drivers, it's a perfect match! The 2000C uses two of the 5 ¼” drivers coupled with the X-PAL tweeter. It is quite substantial at almost 20” wide, 7 ½” high, and a little over 11” deep. It’s an extremely efficient center channel at 93db, yet it can reach down to below 60hz. Couple the efficiency with their great sound and you’ll get the type of dynamics you would expect for $500 for only $200! An incredible value for this caliber of a center channel. You can hear even the slightest nuances in voices on the screen. It draws you into the film -- letting you hear subtle emotions of an actor's performance. If you’re looking for a respectable entry-level center channel, the Paradigm Monitor SE 2000C will pair perfectly with the other speakers in the Monitor SE Series. 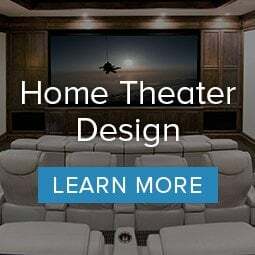 What a great way to start you out on your home theater journey! The Paradigm Monitor SE 3000F is a three-way design using the same drivers as found in the Atom SE -- just more of them. One of the 5 ¼” midbass drivers handles the critical midrange from 800hz up to about 3k, which is where the tweeter takes over. Two of the 5 ¼” drivers are then used to give you deep bass, reaching all the way down to 42 Hz -- pretty deep for a speaker with this footprint! It’s only 9” wide and 11” deep. It stands at about 40” tall and we were very impressed at the outriggers Paradigm includes, providing even more stability to the speaker. You can bypass the spikes if you have hardwood floors or use them if the speakers will be sitting on carpet. We do highly recommend the spikes for carpet as the clarity will greatly improve if your speaker is not wobbling around. Like all of the new SE series, the 3000F is rear ported. This helps increase its efficiency and the 3000F is borderline high efficiency with its 91db rating. These speakers are quite capable of producing a great sound field if you get them set up right. Pay special attention to their distance off the rear wall. While they can produce really amazing sound close to the wall, if you pull them out a bit, the sound really opens up. We spent the most time listening to the SE 6000F. Like the other speakers in the series, the Monitor SE 6000F uses the same drivers. By using 3 of the 5 ½” woofers, Paradigm was able to increase the efficiency of the 6000F to 93db, which is very high for a speaker of this type. What this translates into is a ton of slam on dynamic passages, plus you are able to hear subtle volume changes easier, which pull you more into the performance. The 6000F is the same width as the 3000F but adds a couple of inches of depth, coming in at 14” deep. They stand just slightly over 41” tall. The included outriggers give the speaker a pretty serious look. Please see our comments above on the 3000F for the importance of this outrigger system. Finally, just like the 3000F, the 6000F is rear ported. We connected these up to one of our favorite integrated amps, the Cambridge CXA80. Boy, what a great combination this turned out to be! You’ll want to spend some time fine-tuning the placement of the 6000F. In the listening room where we tested, they sounded best about 20” off the back wall and spread the same distance apart that we were sitting from them, which in our case was about 9’. We also liked them toed in about 5 degrees (this means aiming them slightly towards the center). We played a large variety of CD’s and found that everything had a huge soundstage. The 6000F’s were also able to place instruments precisely in space. But what really impressed us were their dynamics. When a classical crescendo swells or a jazz drummer is tearing up an intense solo, they just deliver that live feeling. We are sure this is due to their high-efficiency rating of 93db. If you like your rock and roll at loud levels, the combination we had of the Cambridge amp and the 6000F was super impressive. Many speakers that can play at these levels cannot reproduce the subtle details that you hear in a more high-performance speaker. The X-PAL tweeter sounds super sweet with no sense of harshness. Paradigm clearly has established a new benchmark for value in tower speakers, as the Paradigm Monitor SE 6000F comes in at $900/pair. These will trounce many competitors at 2-3x the price and deserve a serious listen from anyone considering tower speakers over $700 a pair. Since their beginnings, Paradigm has been known for producing high-value speakers. This tradition continues with the completely new Monitor SE series. You’ll find a lot of the same technology used in their more expensive series at very affordable price points. For the music or movie lover on a budget, you will be amazed! Paradigm uses this new tweeter design in many of their more expensive models. We are very impressed to see it in the new Monitor SE series. It is a truly sweet-sounding tweeter that can also handle high levels of output. Paradigm has some of the best facilities in the world for acoustic design. We love the fact that they take what they learn when making a $35,000 speaker and use those findings to provide better quality for their more affordable products. The new Monitor SE series is going to re-define performance levels in this price range and above. Using the same drivers in all of the models means you can put together a perfectly matched home theater system. Nothing is better for surround sound than when all the drivers match!